Vinyl Inside is an ideal product for polishing rubber and plastic. 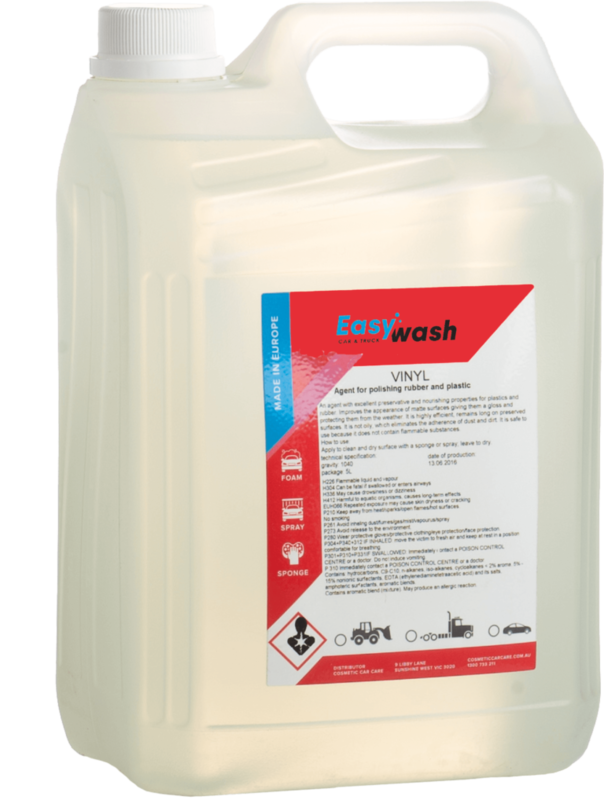 Easywash Vinyl Inside is an ideal product for polishing rubber and plastic. Vinyl Inside improves the appearance of matte surfaces giving them a gloss finish and protecting them from the weather. It is a highly efficient product remaining on the surface for a long period. It is not oily which eliminates the adherence of dust and dirt.